Rules in Spanish can be found here. 1.1. The MineSweeper Online Tournament is organized by DestroY Software ("The Organizer"). 1.2. 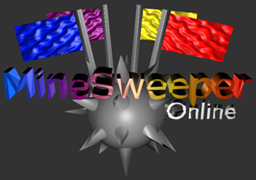 The tournament will take place with DestroY Software Game Series' "MineSweeper Online" freeware game, version v1.3.0. 1.3. Participants have the responsiblity of reading and understanding the rules. Any questions can be raised to The Organizer. 2.1. Subscription is open until Friday, January 26th. 2.2. Please do not subscribe for the tournament if you are unsure if you will be able to participate. 2.3. Subscription is done by sending an e-mail to msotournament@gmail.com with the following information: Nickname, real name, e-mail address, age, country. 3.1. The number of participants is 12. 3.2. Participants will be divided into 3 groups, elected randomly by The Organizer. First and second placed players of each group, together with the best two third-placed players will move into playoffs. 3.3. In the Groups phase, positions are determined by the "Won" column. In case of a tie, position is decided by "Mines For" in first instance, and winner of the match between the two tied players in second instance. 4.1. All matches will consist of 1 vs 1, 2 player games. 4.2. Groups matches will consist of 1 MineSweeper game. Playoffs matches will be played to the best of 3 games (possible results: 2-0 or 2-1). The final will be played to the best of 5 games (possible results: 3-0, 3-1, 3-2). 4.3. Matches can be played at any date and time during the one-week time frame given for each match. Participans will arrange date and time by e-mail. Time frame runs from Sunday 0:00 GMT to Saturday 23:59 GMT. Exceptions to the one-week timeframe may be given if agreed by both players. 4.4. Participants are advised to send copy of each e-mail sent to their opponent to msotournament@gmail.com. In this case, if a player doesn't reply to his opponent's request to play during the week, that player's match will be considered lost. 4.5. Each match will have a home/away status. Home player will host the game and make the first move. Players behind routers may host by opening the TCP port (default port or otherwise). 5.2. Game Logging MUST BE ON! You can find that setting in the Options screen (off by default). After each match, BOTH players must send their logs to msotournament@gmail.com. Please do not modify log files. Failure to send logs will result in lost match for that player. In Playoffs and Final matches, please also send the results of each game in the order in which they were played. Players are advised to empty their Logs folder before Tournament matches to avoid sending wrong files. 5.3. Players may use the Server List or Direct IP modes. If the Server List is used, it is recommended to password protect the game or limit the maximum number of players to 2, to prevent other people from joining. If the Direct IP mode is used, host must give his opponent his IP address and port. 6.1. The winner of the tournament will win a special "Champion's Edition" of MineSweeper Online, and will be added to the "Hall of Fame". 7.1. Any player caught attempting any type of cheating will be automatically disqualified from the tournament. ©2007 DestroY Software. All rights reserved.